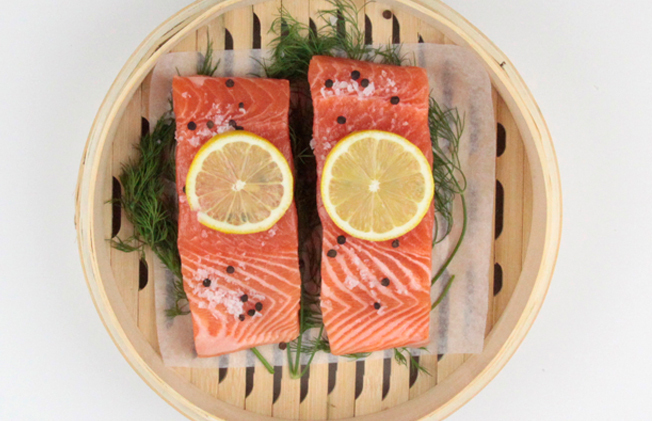 STEP 1Place salmon on a lined steamer. STEP 2Season salmon with salt, pepper, oil or your favourite herbs and spices. STEP 3Place above boiling water with lid on and cook for 4-5 mins. Cooking time may vary with size and thickness of salmon.